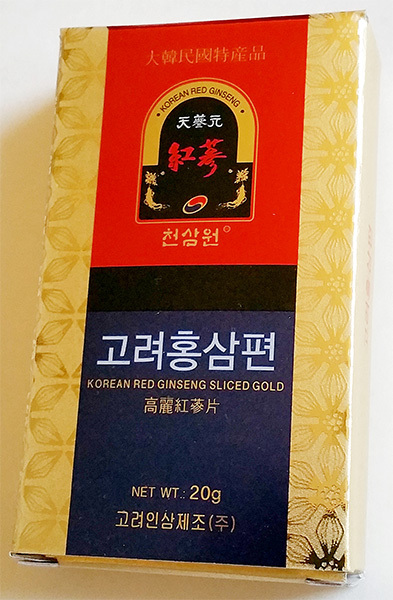 100% Korean Red Ginseng Soft Honeyed Slices. This product is easy for you to carry along wherever you go. Good for snack, side dish and relish. When you buy 2 or more use the family pack. 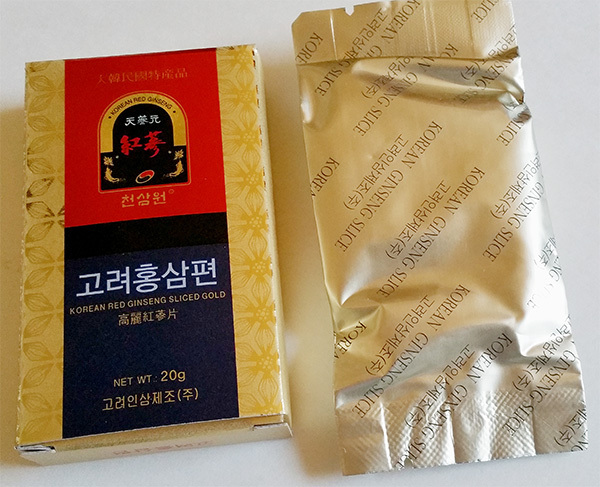 Manufacture: Korean Ginseng MFG. 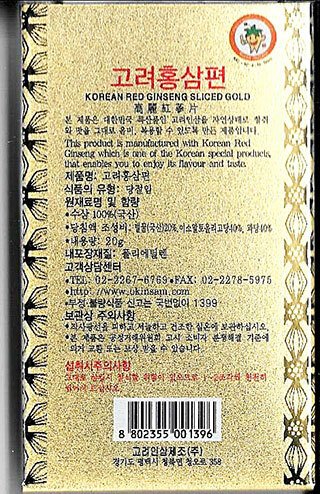 Ltd.
Visit: Korean Ginseng MFG. Ltd. 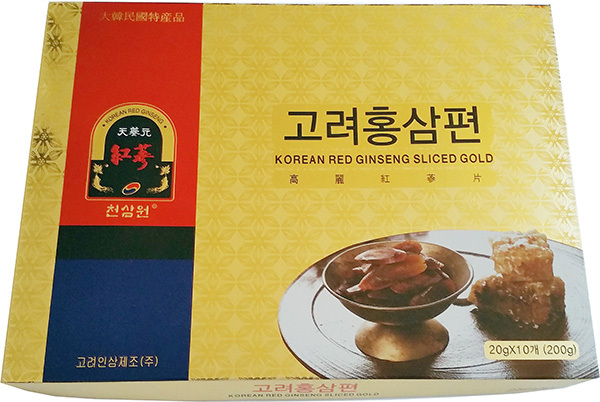 Dried Korean Red Ginseng Soft Honeyed Slices. Dried soft sliced red ginseng with honey. Easy to carry along wherever you go. 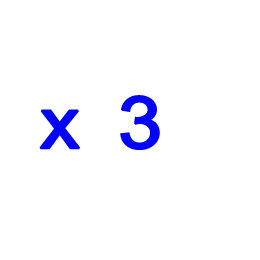 Take 2 or 3 pieces, 3 times or 4 times a day according to your taste. This product manufactured for children and old people to easily take. * Ginseng is not a medicine or a drug. 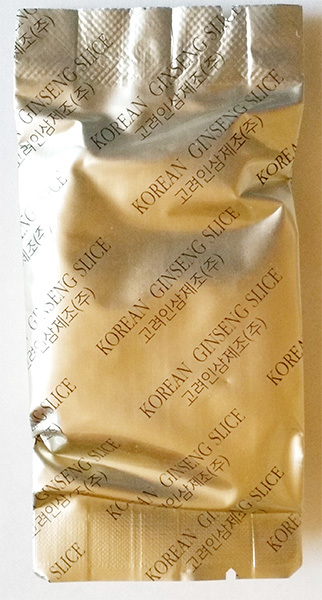 It is a natural food which contains more than thirty active ingredients working synergistically to produce ginseng's many health benefits.